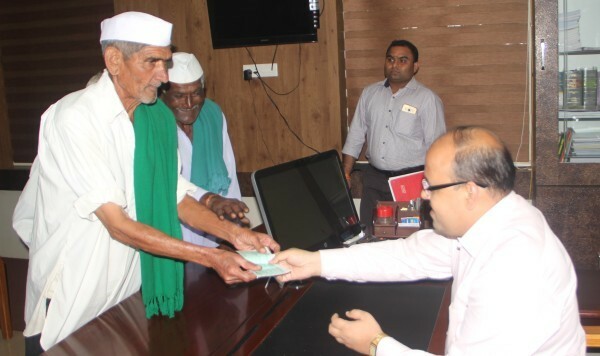 73 year old Laxman Rukmanne Katambale, who has his 3 acres of farm in Kadoli village, visited the Deputy Commissioner’s office to donate Rs.5000 for the needy people of Chennai due to the recent floods. Additional Deputy Commissioner Suresh Itnal, received the cheque from Laxman, who has previously also helped the needy in time of need. Due to drough this year he could not make much money from the crop this year due to drought and has a loan of Rs.25,000 on his head but this man has come forward on his own after seeing reports of the Chennai floods. He leads a lonely life after he lost his wife about 5 years ago. Katambale donates a cash prize of Rs 1,500 every year to the top ranking SSLC student of Kadoli government high school. He has donated a silver statue worth Rs 1.22 lakh to Kalmeshwar temple in his village. This widower without any children spends whatever he earns for the betterment of the society. Next articleInfosys to start new facility at Belagavi ? May Almighty bless you long life. Thank Almighty that still we have such great hearted people between us. Mind Blowing Dadaji, request you to enter into politics and clean up the whole society.